A typical pod bay of 2.5/3.0 cockpits. A mission log sheet from the BattleTech Center in Chicago in 1993. 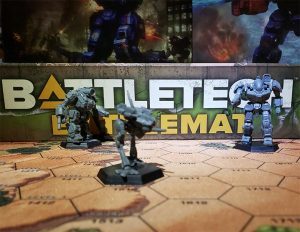 Battletech Centers are commercial virtual entertainment venues that feature multiplayer virtual combat in the BattleTech universe. The games are played in fully enclosed cockpits with multiple screens, joysticks, and rudder pedals. The centers were initially created and operated by Virtual World Entertainment, Inc., with Tim Disney on the public records. The corporation was closed under the corporation guidelines registered in State of Illinois public records. Today, the gaming cockpits can now be found in various sites around the United States. The first BattleTech Center opened in Chicago in 1990, with others in Yokohama following in August 1992 and Tokyo in 1993. Eventually 26 such facilities were built and included other game types and more elaborate operations. These new locations were called 'Virtual World'. Each Virtual World site featured at least 16 networked 'pods' designed in part by Frog Design.By 1993, patrons could compete against players in other centers across the country. 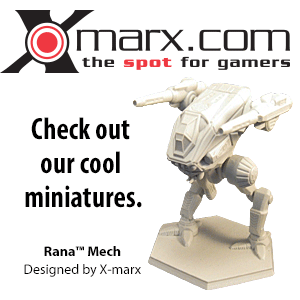 "Red Planet" was the first non-BattleTech game added, and involved racing through the mining tunnels of Mars using vectored thrust mining hover-crafts. However, rapid advances in arcade games and online games meant that the Japanese Centers began closing in 1995, and by 2000 no BattleTech Centers remained operational in Japan. In 1996, Virtual World Entertainment, INC and FASA Interactive merged and claimed to be a wholly owned subsidiaries of Virtual World Entertainment Group (VWEG). In 1999, Microsoft Corporation purchased VWEG, sold VWE to a group headed by VWEG's former CFO, James Garbarini (and two other individuals) into an LLC in the State of Delaware, and integrated FASA Interactive into the Microsoft Game Studios division. In 2005, all interest in VWE was claimed to be sold to Nickolas 'PropWash' Smith and the principal offices were moved from Chicago to Kalamazoo, MI. Bad Link  Nick Smith claims a headquarters in Michigan but this has not been confirmed as registered with the office of the Secretary of State. Virtual World Entertainment, MechCorps, and VGCorps decided to refit existing Tesla II pods and take the BattleTech Center experience on the road starting at GenCon in 2007. Gaming, Sci-Fi and Anime conventions (OwlCon, ChimaeraCon, Dragon-Con and MechaCon) in the south-central US were introduced to MechCorps' Mobile Armor Division while Virtual World Entertainment in association with MechJock LLC (no longer in Good Standing in State of Michigan) made appearances in the Mid-West at events including Gencon, Origins, Chicago Comi-Con, ACEN, CodCon and Youmacon. In 2006, players in Japan purchased four Tesla pods from the United States, and began to put together an 'unofficial' Virtual World Center in Tokyo. Despite many key components becoming 'LosTech' and their spare parts no longer available on market, the four pods were reported to be semi-operational, though no commercial operation had resumed yet. The 42 other (estimated) cockpits not included in this list may be salvaged or operating by private owners. This list is old and not updated. Each site is independently owned. WIKI needs to validate all references and websites. ↑ "Microsoft Acquires FASA Interactive"
↑ "Virtual World Entertainment Acquired by Nick Smith"
Virtual World Entertainment NOTICE: VirtualWorld® domain at this link claims to be For Sale and Claims to have US Registered Copyright - The USPTO indicates Registration is expired. This page was last edited on 19 May 2018, at 13:59.